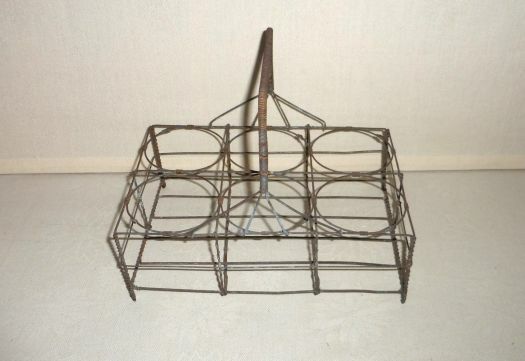 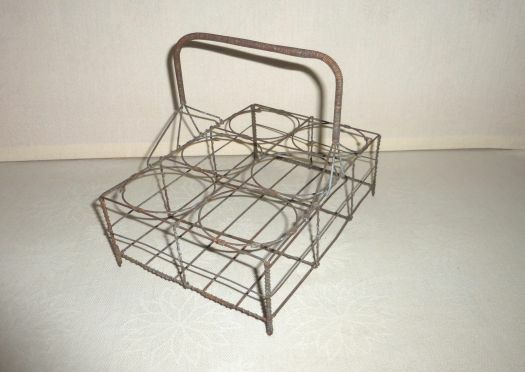 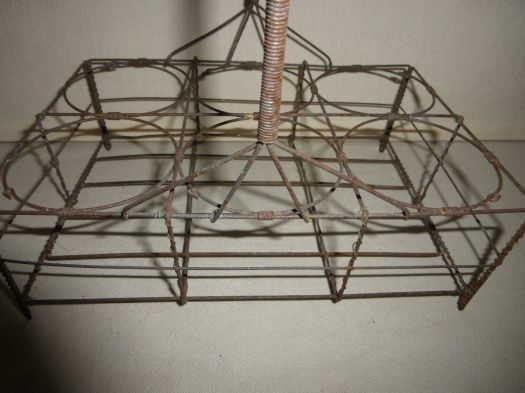 Nice iron basket for glasses, in good condition. 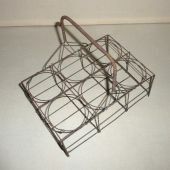 25 cm x 17 cm ; height 20 cm. 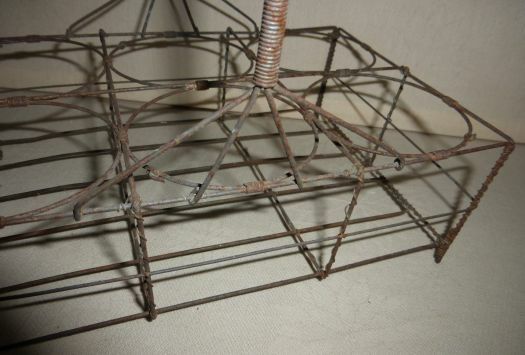 Diameter for a glass : 7,5 cm maximum.